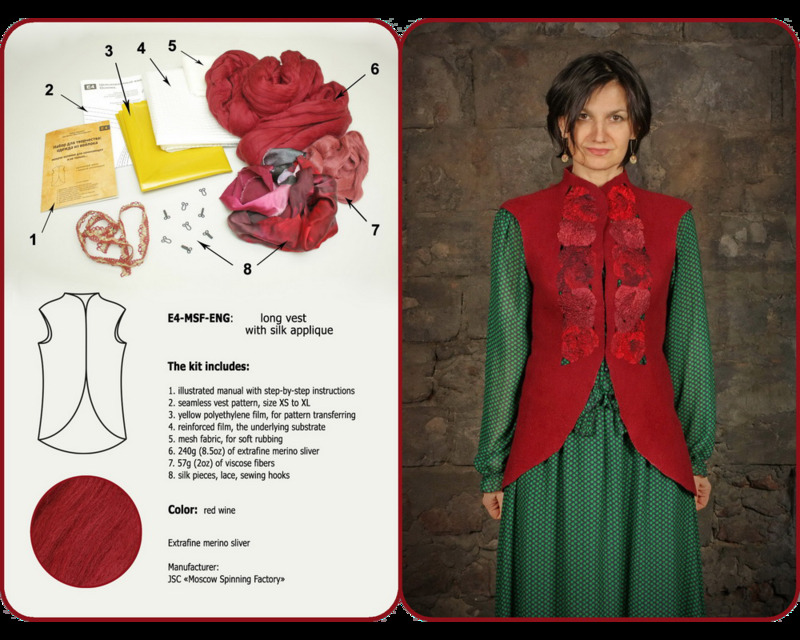 This lesson is intended for beginners who want to learn the process of felting on the example of the seamless, long, close-fitting vest with an applique from silk pieces. This is "all-in-one" kit that contains everything needed to help you make your first seamless vest, except some little things: a water scoop, a towel and soap. We've gathered all the materials: an extra fine Australian merino sliver, viscose fibers, hand dyed silk pieces, cotton lace, sewing hooks. The package will be delivered via Registered Air Mail with tracking number provided by Russian Post.